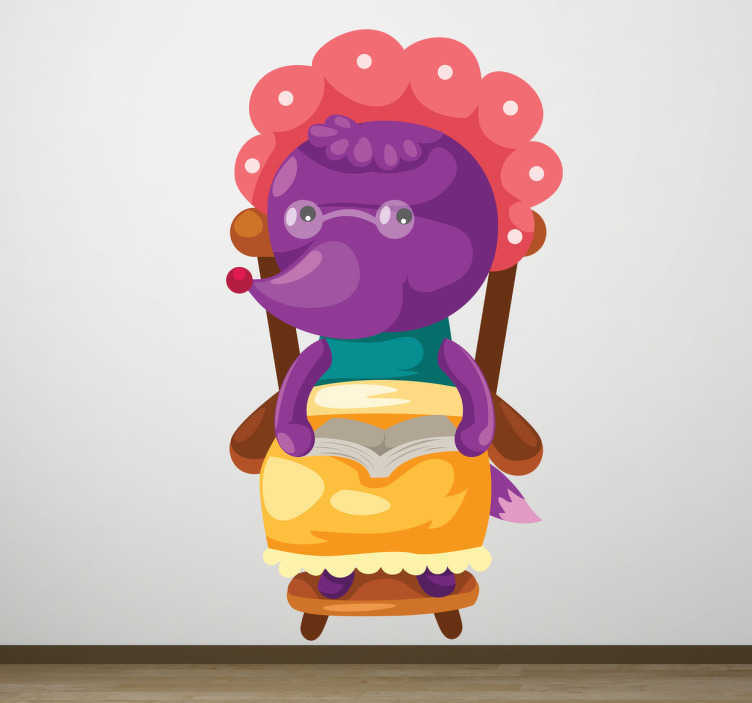 Kids Wall Stickers - Playful and fun design of a wolf dressed as an old lady. Inspired by classic childhood stories. Available in various sizes.